Here are more pcitures on the gardenia wedding bouquet.Now firstly I finished off all the 12 corsages! Just finished up the gardenia bouquet and added a blue large bow to it! A clay gardenia hair flower would have looked good with this!It looked sooo great that I thought I should be relisting it! 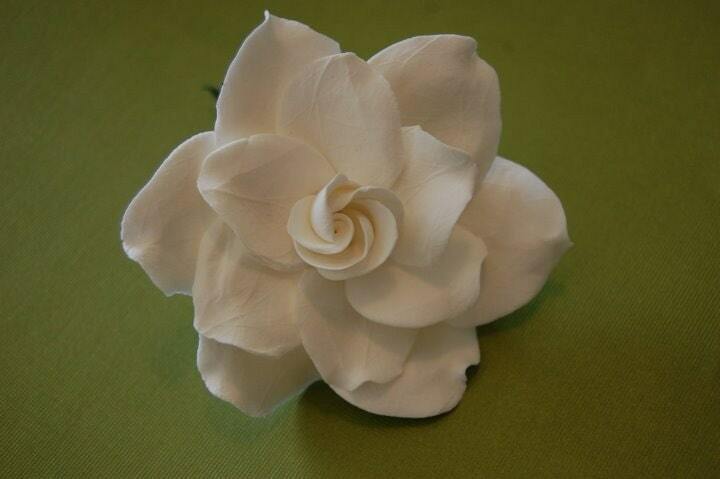 Take look at my listing at Artificial Bridal Gardenia for the hair wedding The flower would be 3.5 inches big just right to wear in the hair for your wedding.